Who Shot Up A U.S. Power Plant? Last April a group of armed men attacked an electrical power station near San Jose, California, and while the FBI has discounted that it was done by foreign or domestic terrorists, the truth may be even more frightening. No one has been charged with the crime, and since it happened just after the Boston Marathon bombing, it was barely covered by the news. What we know is that someone with extensive knowledge of plant operations entered the correct manhole and cut the appropriate fiber-optic lines to disable the emergency reporting system. A group of men, and we don’t even know how many because they avoided the cameras, then fired 120 aimed rounds and knocked out 17 transformers. They did enough damage that the station was shut down for a month, but the way they did it was baffling. They didn’t just shoot into the plant indiscriminately which would have caused explosions and would have caused far more damage. They shot the transformers so their cooling oil would leak out and they would overheat. It’s a fairly easy thing to knock out a power station. You don’t even need a gun. If you threw a five gallon can full of gasoline with a Visco fuse sticking out of it over the fence, you could do a fair amount of damage. But this attack is scarier because there are only three obvious perpetrators. It was either done by a Mexican Cartel or skilled terrorists who are using it as a dry-run before carrying out an even larger coordinated attack, or it was done by a well-trained U.S. government-affiliated group. In the best-case scenario the government did it as a pretext to increase power plant security. In the worst-case scenario, they plan to knock down the electrical grid to cause riots so martial law can be instituted. 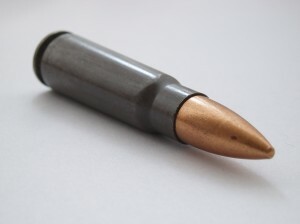 The fact that the shooters fired the standard “terrorist round,” the 7.62 x 39 mm cartridge of the old AK 47, and they intentionally left spent cartridges wiped free of finger prints at the scene leads me to believe it was an inside job. It’s a weird world where I have to hope foreign assailants were behind an attack instead of my own government. They’re the lesser of the two evils.